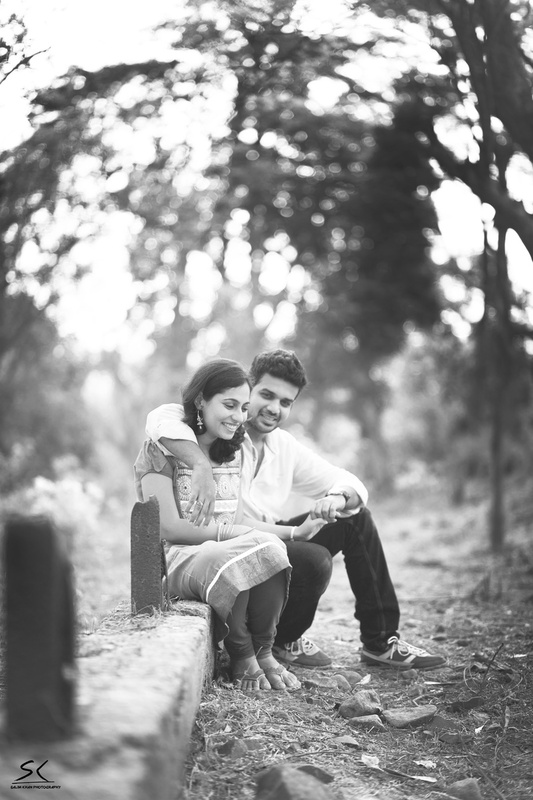 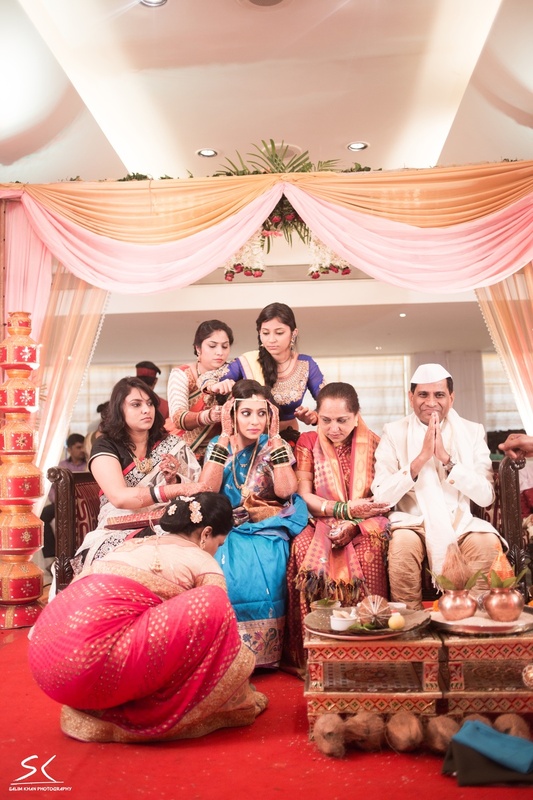 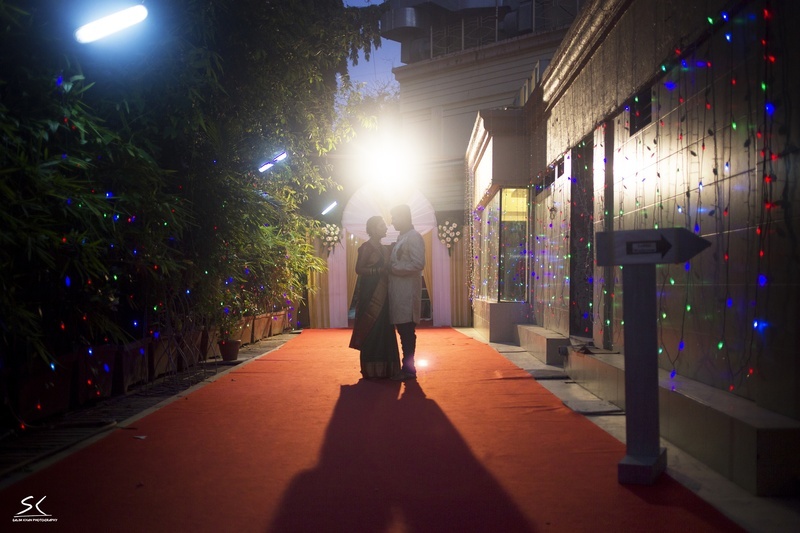 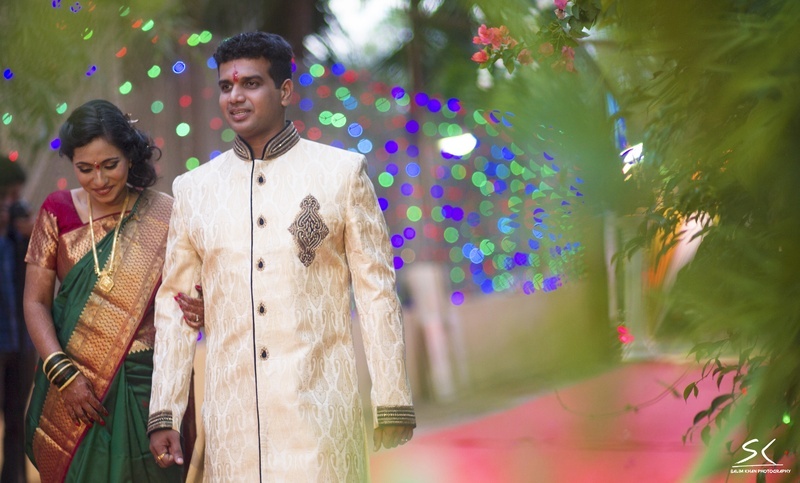 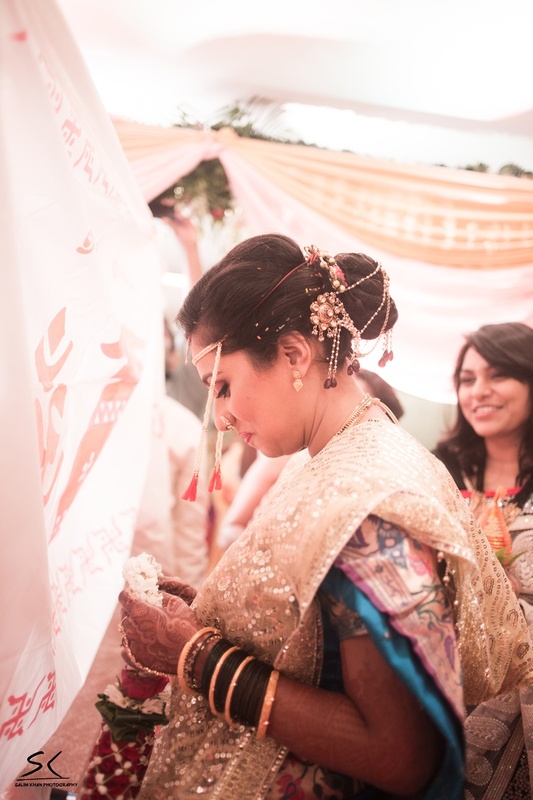 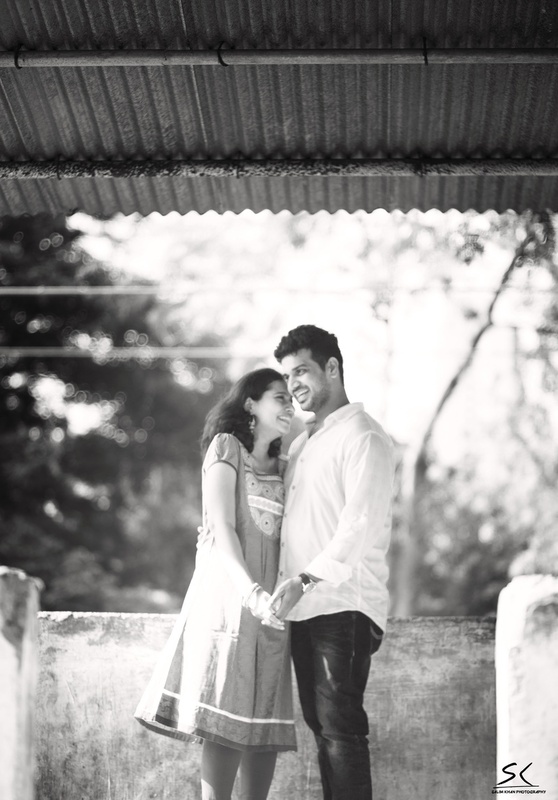 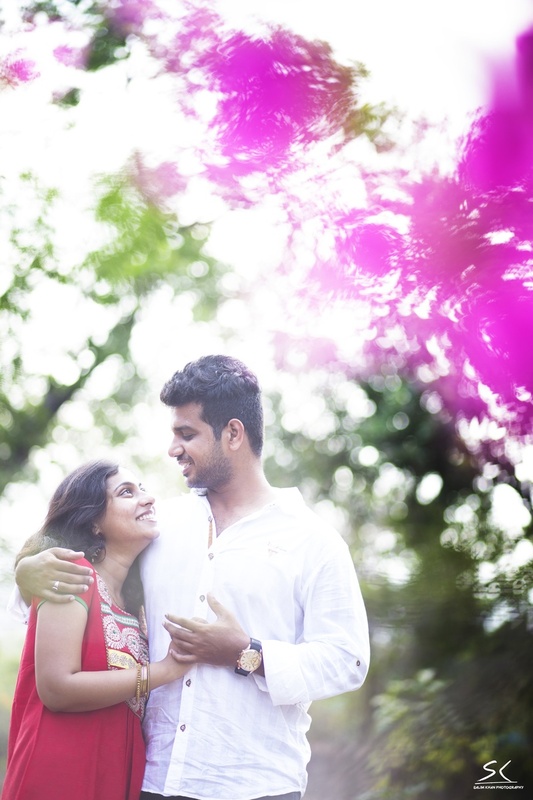 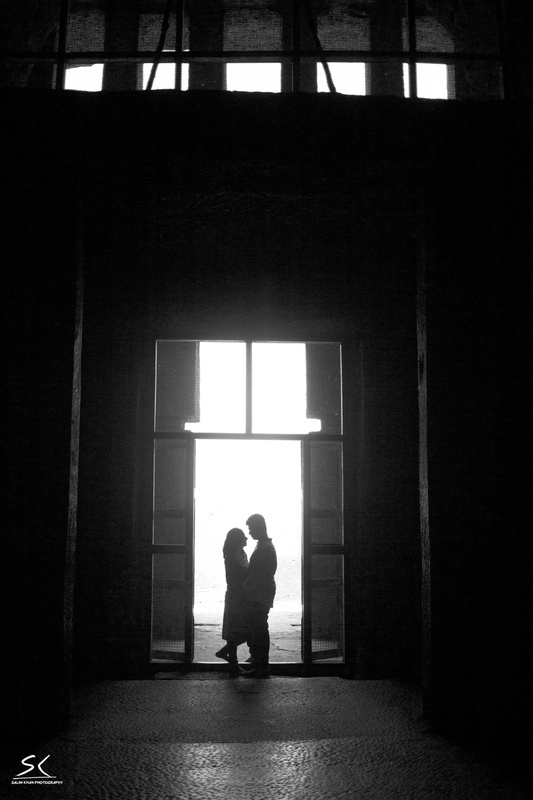 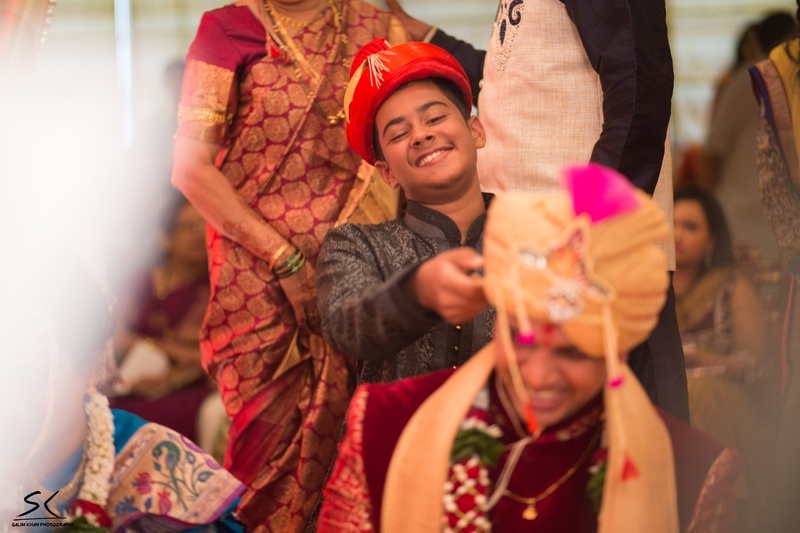 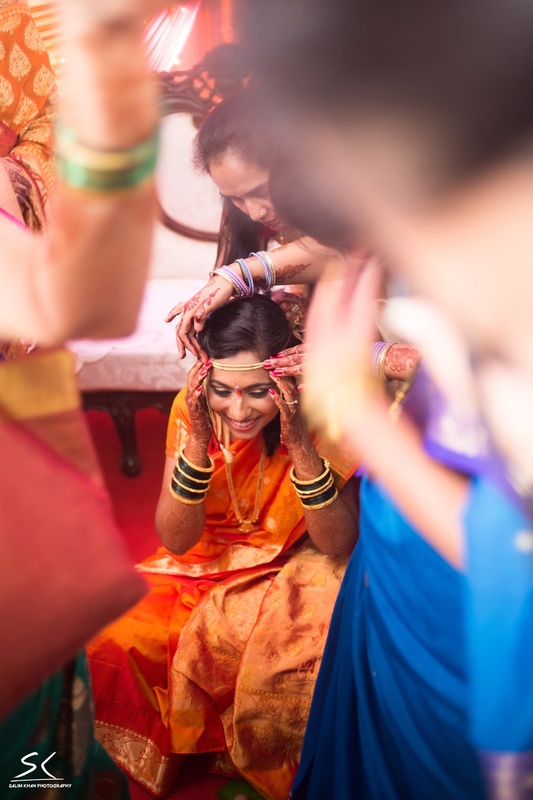 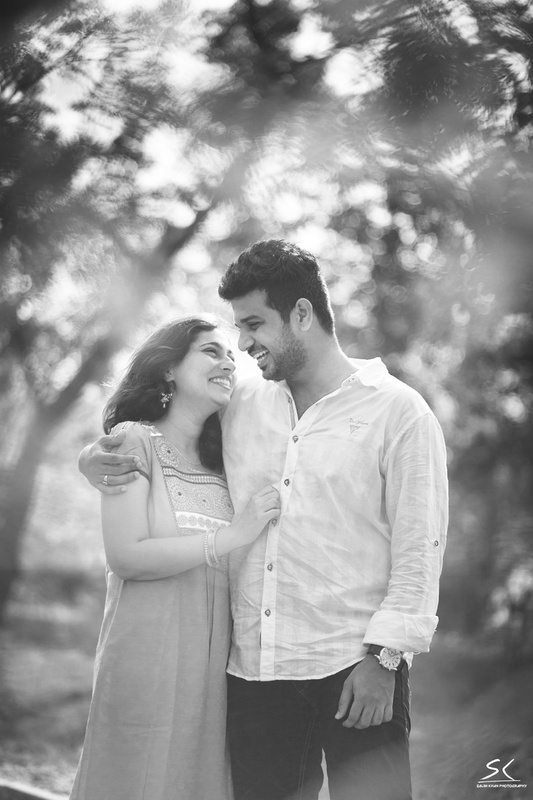 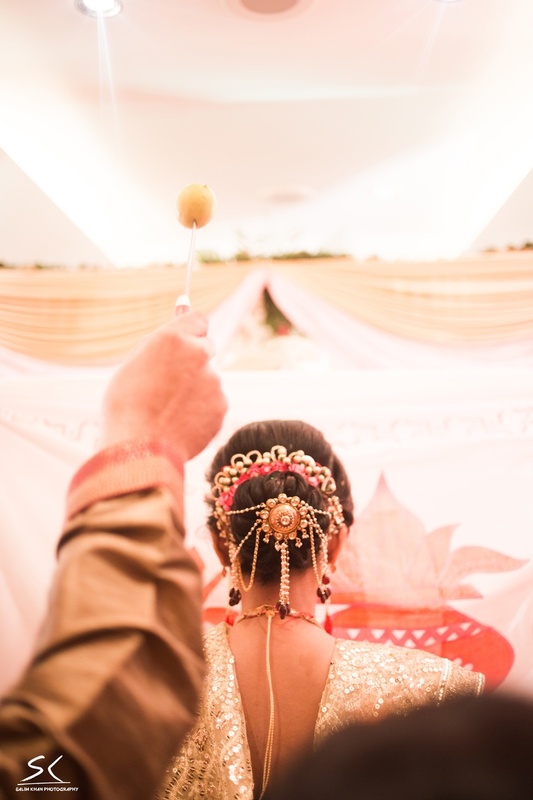 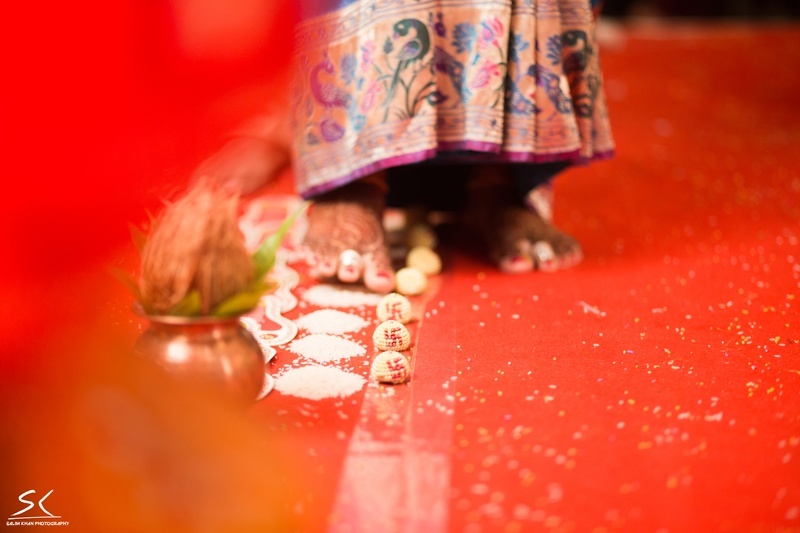 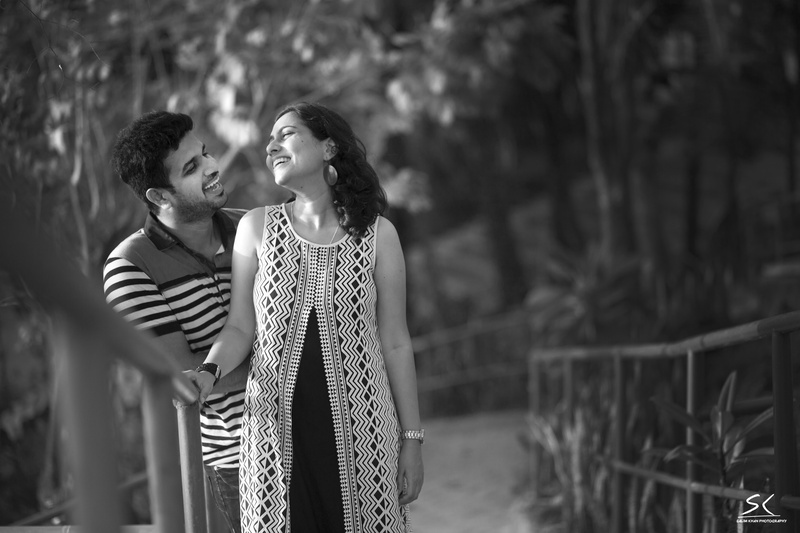 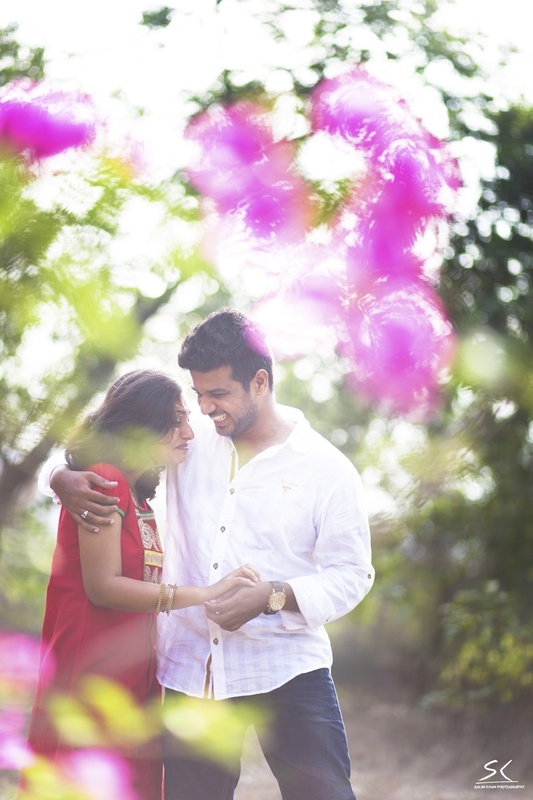 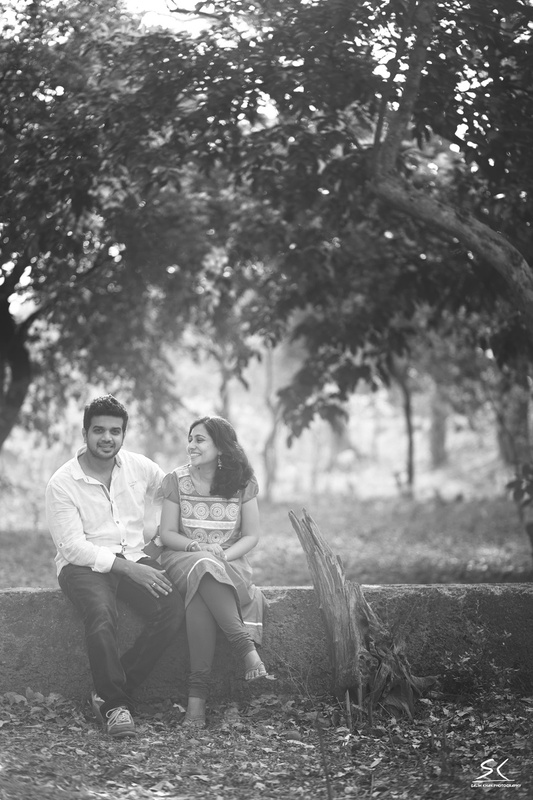 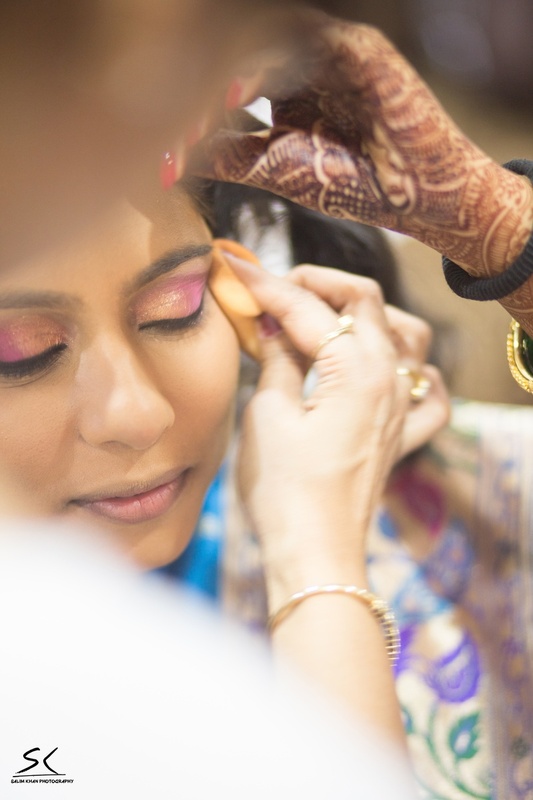 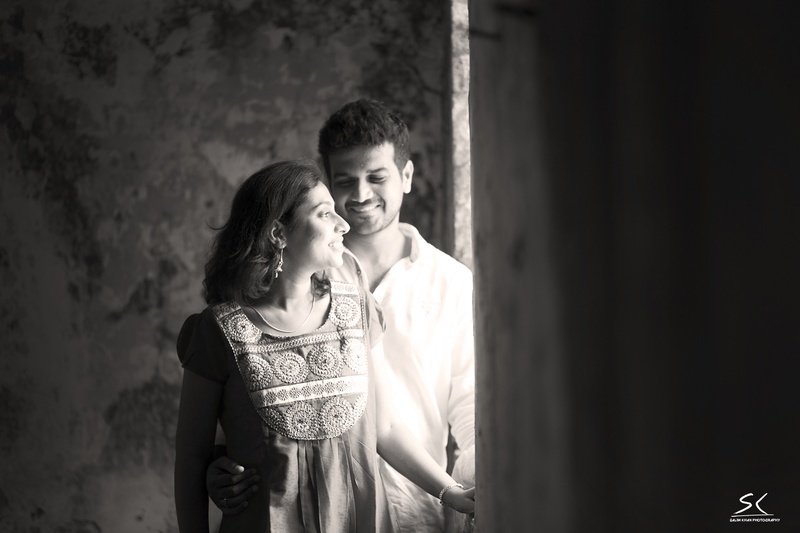 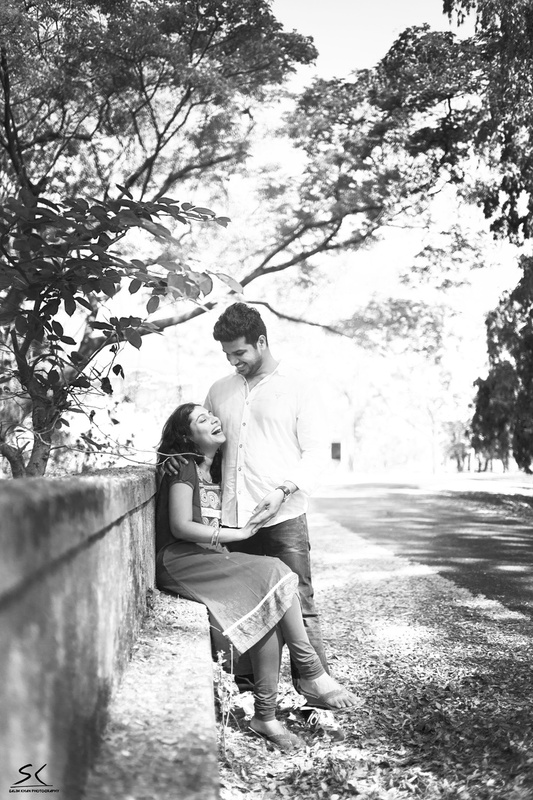 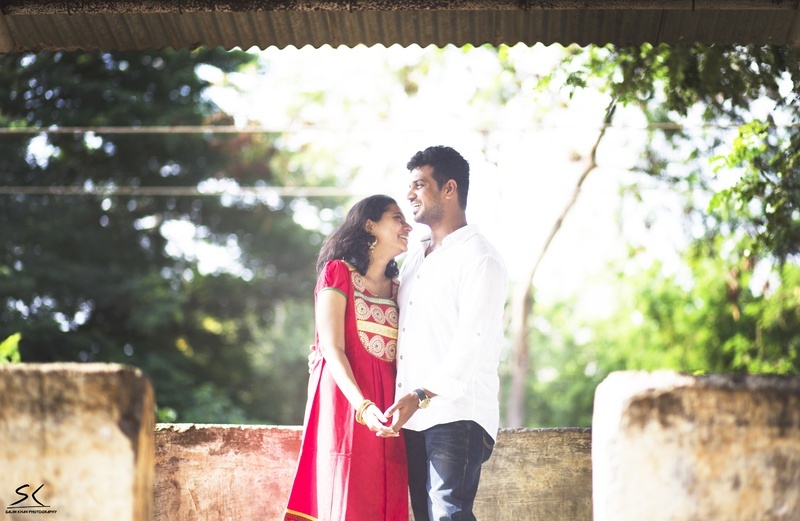 A Soothing Maharashtrian Marriage Ceremony Imbued and composed with serenity. 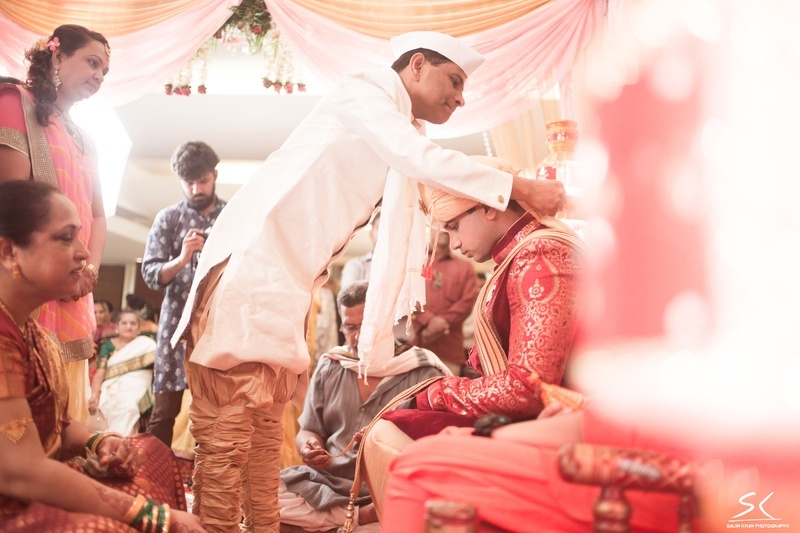 A Soothing Maharashtrian Marriage Ceremony Imbued and composed with serenity, Esha and Saurabh’s nuptial had simple colours and accents. 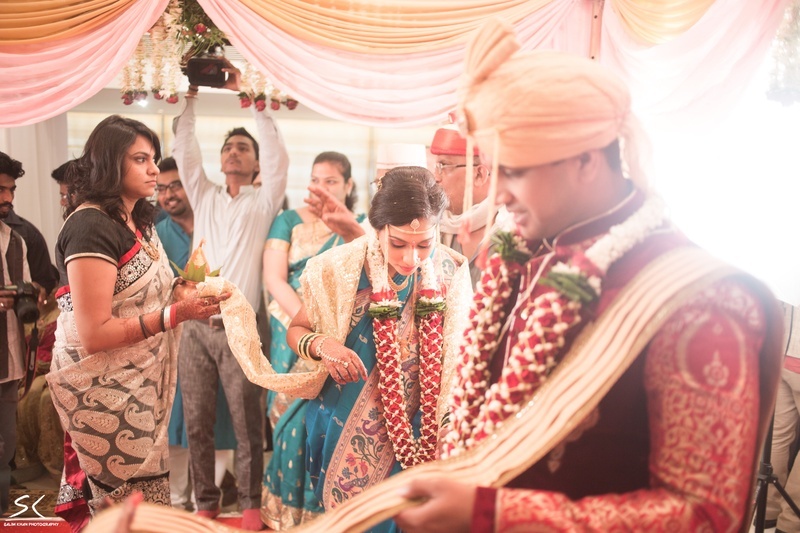 The big day was held at Versova’s Rajiv Gandhi Institute in Mumbai. 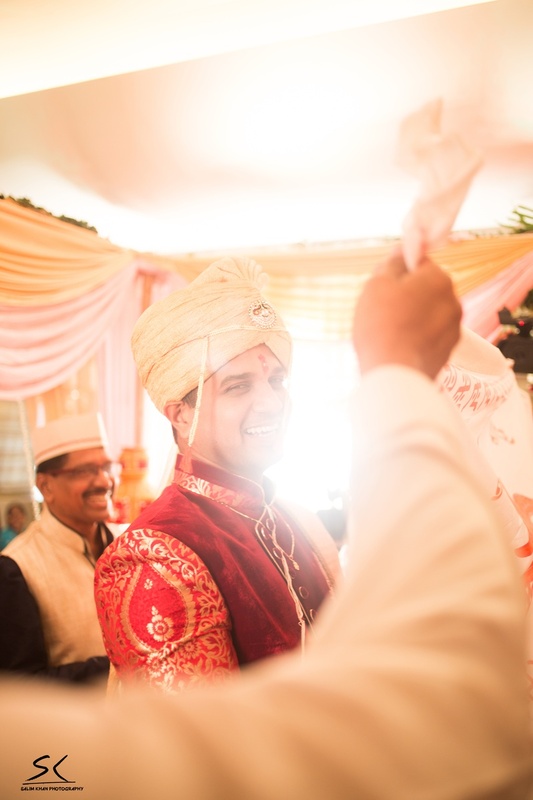 Pink and peach drapes enveloped the mandap, with a long white curtain kept in between the couple for the Antarpat and the Saat Phera. 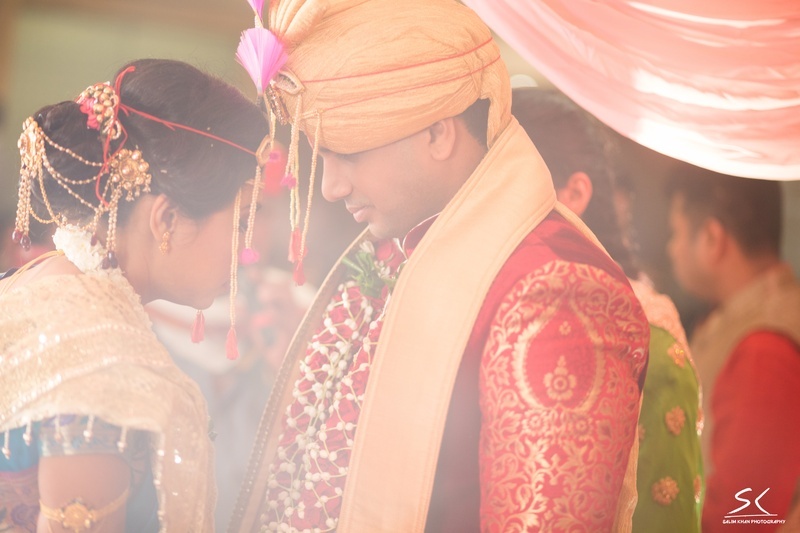 Saurabh was dressed in an ethic shervani that was teamed with a velvet red jacket and a jute dupatta. 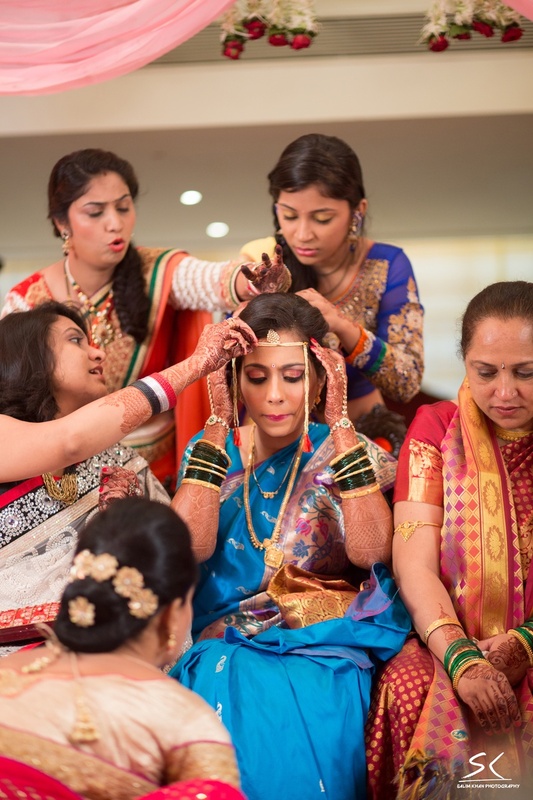 Esha wore a wonderful turquoise saree and accessorized the traditional look with green bangles, chained ambada and a gold necklace. 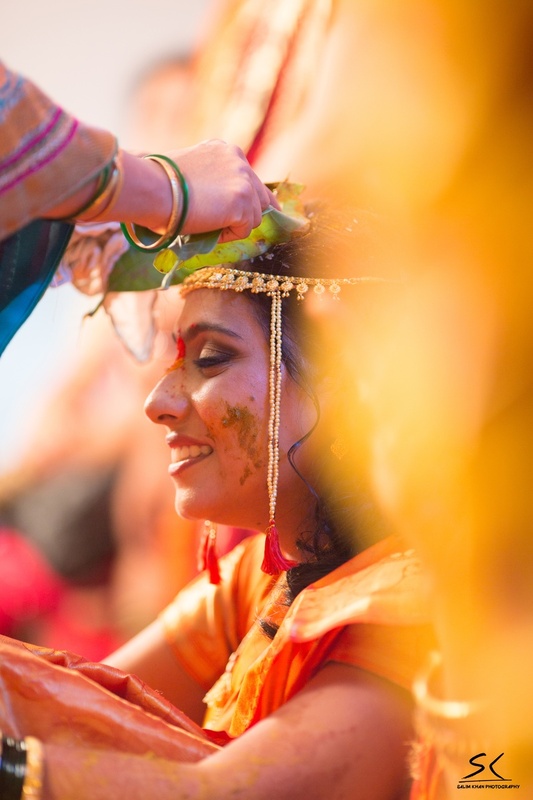 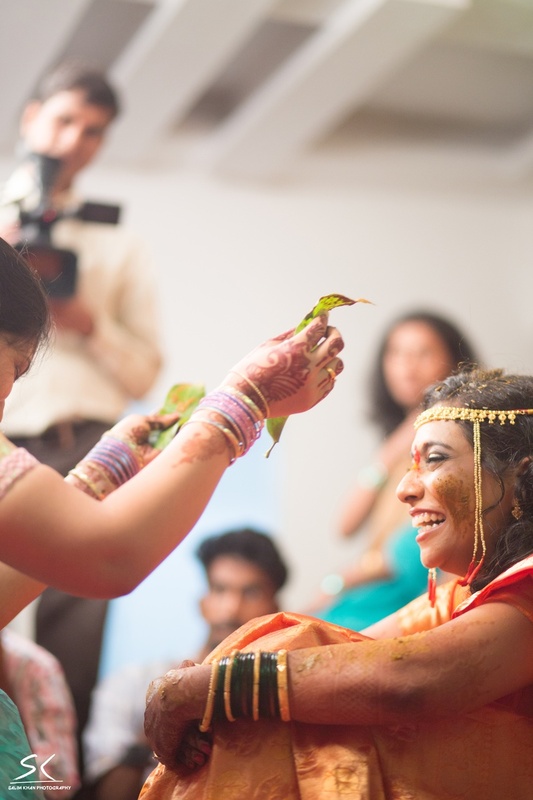 The marriage ceremony also had various Maharashtrian rituals like- Sakharpuda, Kaan Khichai, Haldi-Kumkum and many more. 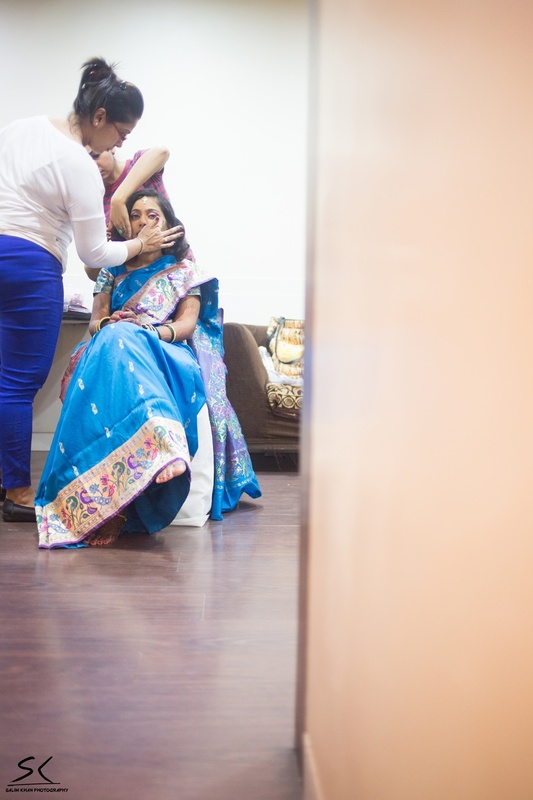 In the evening, the bride wore a green saree with a simple make-up and minimal jewellery, while the groom wore a cream shervani with an impressive patchwork on the left side.